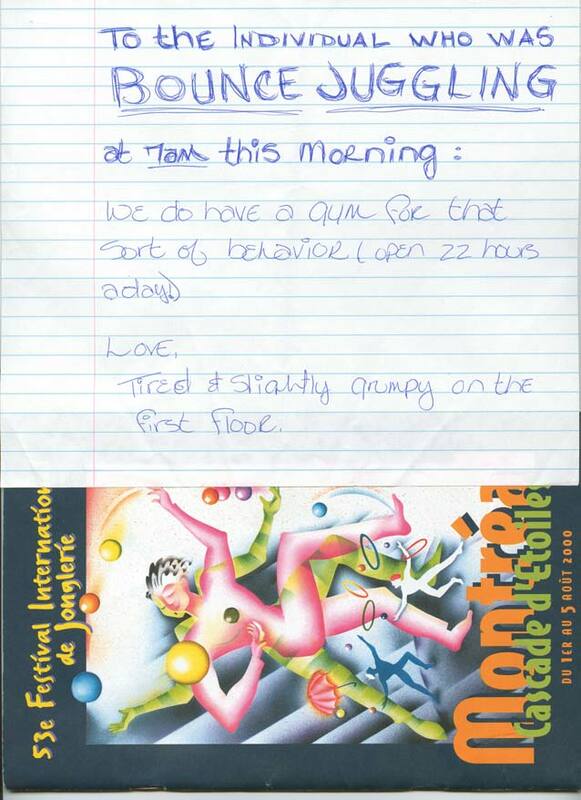 This little note was posted on the notice board of the dorms at UQUAM during the 2000 Montreal festival. I grabbed it because as it turns out, I was the one doing the bounce juggling at 7am in my room on the 10th floor. I was keen on juggling, and I figured everyone would be up and ready to go, right...? I love those medals you get at festivals for winning the games. 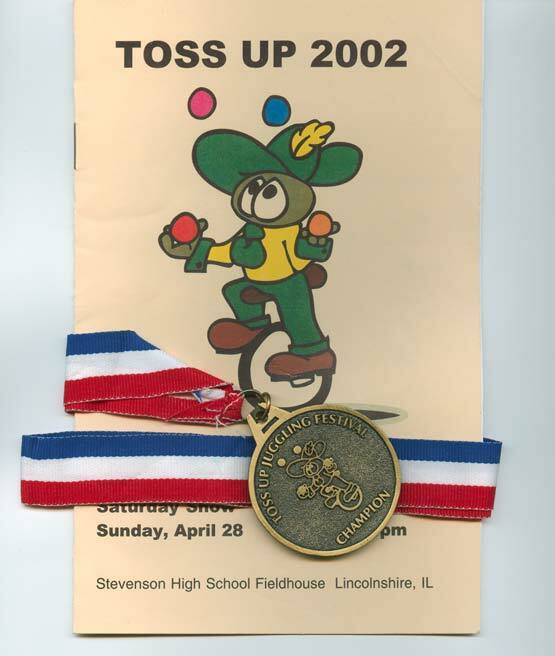 At the last Toss-Up festival, I got second in about 5 different events before Peter Kaseman took pity on me and helped me win the Diabolo Distance Passing competition. 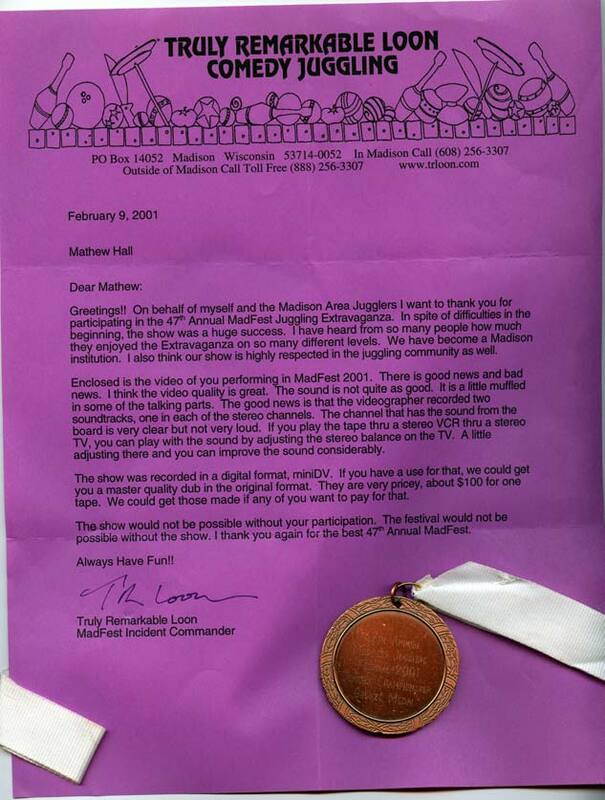 The other medal I won at the 2000 MadFest Over-25 Juniors Competition. 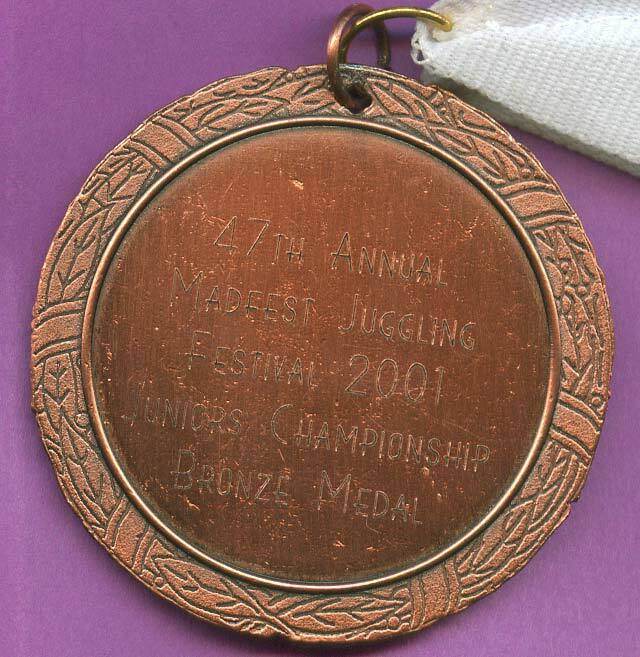 Held during Renegade on Friday night, it was open only to jugglers 25 years or older and you had to wear a vest, or one would be provided. 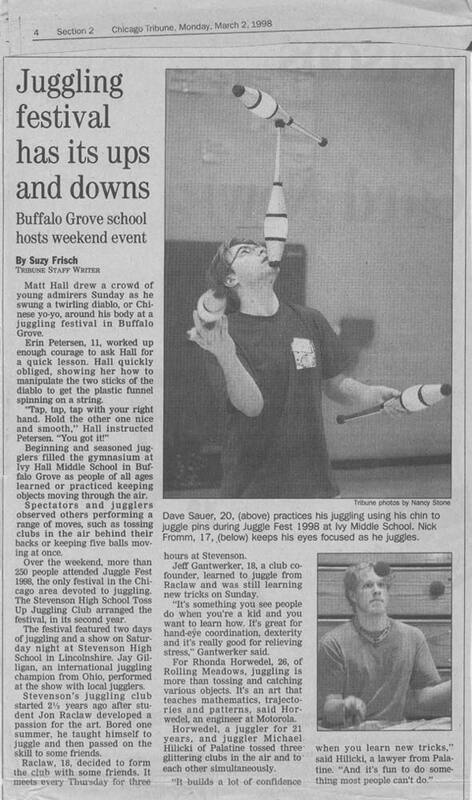 It was written up in Juggle Magazineand it was and remains the only time I have ever hit the 3 box pirouette to foot catch on the very first try. I would give anything for a video of that night. Oh yes, I almost forgot. First, second, and third place winners ALL received bronze medals...nice! 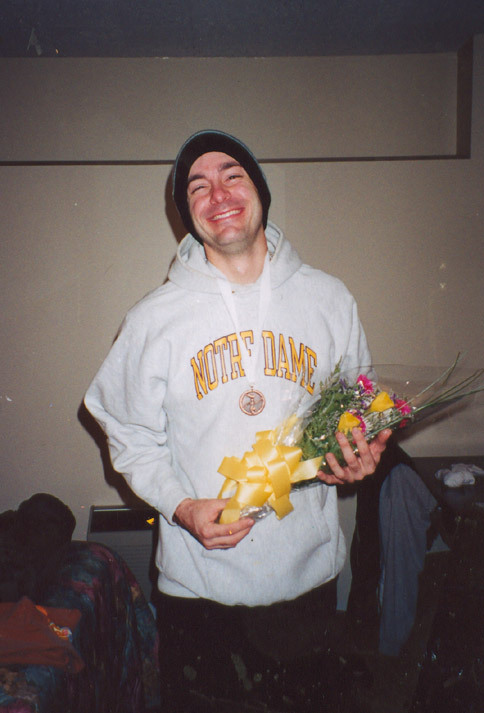 The blushing victor with an actual bouquet of flowers...er...yeah.